We’d love your help. Let us know what’s wrong with this preview of Jak řídit by Ben Collins. Autorem této praktické příručky je závodní jezdec přezdívaný Stig, který často vystupuje v pořadu TOP GEAR, ale málokdo ví, že také zastupoval představitele Jamese Bonda při nejtěžších honičkách v posledních filmech. Kniha je také proložena historkami z natáčení. S jeho pomocí si ověříte, zda při jízdě správně sedíte, osvojíte si třeba správnou techniku projíždění zatáček, Autorem této praktické příručky je závodní jezdec přezdívaný Stig, který často vystupuje v pořadu TOP GEAR, ale málokdo ví, že také zastupoval představitele Jamese Bonda při nejtěžších honičkách v posledních filmech. Kniha je také proložena historkami z natáčení. To ask other readers questions about Jak řídit, please sign up. How the book is ? This book is mostly fun, but with a bit of an identity crisis. That may not be surprising for a man who makes his name by being invisible, whether it as the helmeted Stig or a stunt driver pretending to be Daniel Craig. Or perhaps that should be Daniel Craig pretending to be a stunt driver? There's some good stuff here. There is some interesting advice on car control, although it's a bit basic. There are some funny anecdotes about his time on Top Gear and other driving adventures. But then there' This book is mostly fun, but with a bit of an identity crisis. That may not be surprising for a man who makes his name by being invisible, whether it as the helmeted Stig or a stunt driver pretending to be Daniel Craig. There's some good stuff here. There is some interesting advice on car control, although it's a bit basic. There are some funny anecdotes about his time on Top Gear and other driving adventures. But then there's a weird bit at the end about stunt driving. It all adds up to something that is a little bit confused. The book talks about safe driving - for people who will never do stunts. And then it talks about stunt driving - for people who will skip over the bits about safe driving. As a book it isn't quite sure whether it is an autobiography, a safe driving manual, a racing manual or a stunt manual. Ben Collins is an agreeable enough author, although there are times when the writing gets rather overblown. Someone - Ben or a ghostwriter - is trying too hard to be Clarkson. But to be fair it mostly works. With the full hardback priced at £20, I got it reduced at WH Smiths for £5. And that feels about right. Po mnoha a mnoha letech jsem si řekl, že by se mi řidičák přeci jen mohl hodit. A tak jsem nyní, kdy mám těsně před zkouškama v autoškole, bratrovi zabavil tuhle knížku, kterou jsem mu kdysi dal k Vánocům. A musím říct, že je to skvěle napsaná kniha. I když je jejím autorem závodní jezdec a kaskadér, efektním trikům se věnuje jen na konci. Zbytek knihy tvoří praktické tipy… jak řídit. Lépe a bezpečně. A pár historek z natáčení, kterým chybí jen dovětek: Doma to nezkoušejte. Kdyby britský nakladatel Po mnoha a mnoha letech jsem si řekl, že by se mi řidičák přeci jen mohl hodit. A tak jsem nyní, kdy mám těsně před zkouškama v autoškole, bratrovi zabavil tuhle knížku, kterou jsem mu kdysi dal k Vánocům. Very fun read, and pretty informative about regular driving. 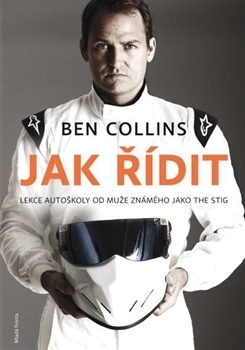 Ben Collins uses anecdotes about his time with Top Gear to illustrate his points, but you definitely don't have to be a fan to enjoy this book. Recommended for anyone who has his or her driver's license and wants to learn the stuff parents and instructors can't tell you. Easy to read and informative.Excellent for anyone interested in driving better, racing or even watching racing. Ben Collins previously known as The Stig loves to drive. I wanted to pick up a few tips and also to see what driving is like from someone who finds it a pleasure. Overall, I did find this book useful. For racing fans, there are some interesting tales about competing in famous races but it was reassuring to know that even for somebody who thrives on speed, his approach to driving on the open road is measured: antipication, engine braking, thinking several moves ahead. The advice on observation wa Ben Collins previously known as The Stig loves to drive. I wanted to pick up a few tips and also to see what driving is like from someone who finds it a pleasure. Overall, I did find this book useful. For racing fans, there are some interesting tales about competing in famous races but it was reassuring to know that even for somebody who thrives on speed, his approach to driving on the open road is measured: antipication, engine braking, thinking several moves ahead. The advice on observation was helpful and I did give the exercise of 'looking at my thumb first and then the background without moving my head' a go. I missed out the chapter on stunt driving as it's not something I would ever do. Normally I find books difficult to read as I often doze off. 16 years on the bench has made me hate reading “books”. But this books sailed through everyday, soaking up every single chapter as if it was candy. If you are interested in cars, improve your driving skills or simply prepare in a different way for your upcoming driving test, this is the book for you, hands down! Entertaining book about how to drive, which sounds difficult. What surprised me while reading it was that I paid more attention to my driving in the car and overall it improved, mostly without intention. There are some fun anecdotes sprinkled in throughout and, yes, some stunt driving training. Fun book. Contained some good fundamental driving tips that you probably not aware even though you've done a lot of car driving. But, if you don't have a rich vocabularies of technical terms, the writing could be somewhat confusing. Plus, if you are not that interested in drive a racing car or manage to do a stunt move, there's a lot of pages you don't need to read. A wonderfully enjoyable, surprisingly insightful and altogether valuable reading experience. Terrific book, should be required reading, especially here in the States where it seems if you can fog a mirror you get a licence. Get it, read it, apply the lessons within. Interesting, absorbing and valuable for anyone ever sitting in front of the wheel. It's really good as a guide to driving. Plenty of things to try or think about for experienced drivers as well as newer ones. It acknowledges what established instructions and manuals say, and explains why it may be easier/quicker/safer to think differently. Great clear illustrations and it's more likely to be read coming from a race driver, or stunt driver for 007 or Top Gear, than some crusty figure of authority. Tone and style is a bit uneven - sometimes it catches you out jumping from serious It's really good as a guide to driving. Plenty of things to try or think about for experienced drivers as well as newer ones. It acknowledges what established instructions and manuals say, and explains why it may be easier/quicker/safer to think differently. Great clear illustrations and it's more likely to be read coming from a race driver, or stunt driver for 007 or Top Gear, than some crusty figure of authority. Ben Collins drives in "Fast and Furious 6", he opens "Quantum of Solace" as James Bond. Even those things are sound interesting for me. How is it to be so cool driver? I totally recommend reading this book for these ones who touches steering wheel every day. And not because, you'll drive better or you'll learn new tricks, just to get the feeling of how Bel Collins loves driving and to understand logic is guided by the racer. 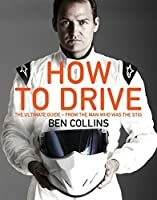 I do not recommend this book for drivers, who improves their driving skills every day because probably you know most tricks and techniques described by Ben. Usually when I finish a book I donate to the local library, I’m considering donating it to the DMV or a local dealership, maybe people could pick up a few things while they wait. Ben uses his vast experience as a race and stunt driver to show what to do and when to do it, and more importantly what NOT to do, and living in an Air Force town with a bunch of flyboys zooming around I have seen a lot of the not to do side. Good read with some very practical advice from "The Stig"! I do agree with https://www.goodreads.com/review/show... and could write the same. Now I can be even more obnoxious about driving. Informational with great stories of his driving exploits (and mistakes). Great tool for drivers! Great book, good tips, awesome stories. More about doing Top Gear than actual advices, but still quite enjoyable. Great driving manual! If you think that you drive like a god you might read it becuase of the funny stories inside the book. Fun to read, but not going deep enough.